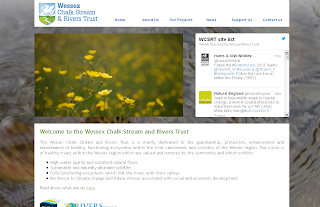 The Wessex Chalk Stream and Rivers Trust (WCSRT) is a charity formed in 2010 by a group of organisations with an interest in protecting the fragile and globally important chalk-based ecosystems of the rivers of the Wessex region. This charity proves that websites aren’t only essential for businesses trying to attract new clients but can also help anyone trying to send an important message out to their community by rallying supporters to their cause. The internet is an amazing platform for communication on all levels as this website demonstrates. Of course, the website is attractive and representative of the landscape the client is trying to protect. There are many beautiful images provided by the client themselves making this website personal as well as personable. Other features worth mentioning include the ‘List Twitter Feed’ and a Donation Form that links to a page where visitors can donate. This site also gives website visitors the chance to make a difference and help protect their environment with the inclusion of a Donation Form page. Paypal and other Online Payment Forms are a great way for potential clients or benefactors to pay immediately for any services that the site offers or, in this case, to send crucial funds to a noble organisation.